HomeGold IRA BlogBuy GoldWhy is Gold Valuable? Even since the days of early civilization, gold has been considered valuable for a number of reasons. Ancient kings lavished their palaces with gold at every turn and it has always been seen as a sign of wealth and power. Today, we consider gold so valuable because it’s beautiful, useful, and rare. There’s a reason why there is such thing as a “gold standard.” From jewelry to interior design to fashion, gold is seen as one of the most beautiful metals available. But don’t just take our word for it! Scientists have actually studied why we are attracted to shiny things and it boils down to our thirst for water. Our genetic makeup draws us to the mirage of sparkling water and this translates to technology, fashion, and many other categories! Gold is the epitome of beauty and sheen. Finally, gold is rare and, as any self-respecting Economics 101 student will attest, value is derived from supply and demand. Due to its relatively short supply and the overall scarcity of gold, it has inherent value. In fact, according to Science Focus, all the gold mined throughout history would fit into a 20 meter by 20 meter square box. 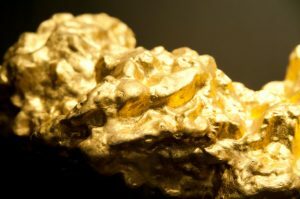 One reason why gold is so rare is because it is a relatively heavy metal, meaning that it is hard to naturally produce. It needs incredible levels of heat and pressure, such as a collision between neutron stars. No wonder it’s expensive! But, gold is not totally unattainable. It can still be derived from mining, panning, or purchase. Its scarcity makes it extremely valuable, especially in the case of natural disaster. The US dollar continues to shrink, while gold holds (or increases) its value. Gold is one of the most beautiful, useful, and rare compounds in our universe. It can be used for everything from beautiful jewelry to NASA spaceships. In addition to all those cases, did you know that it can also be used for retirement? Gold can be added to a 401(k) or IRA account as a diversified investment type. If you’d like to learn more or rollover your retirement savings into a Gold IRA, contact us today.